If you use modifier codes in your practice, you will love this new feature. Practices can now set default modifier codes for Service Codes, Clinician Billing Setting Overrides, and Multiple Practice Locations. TherapyNotes will aggregate these codes from these various settings, automatically put them in an appropriate order, and include them on your claims for any applicable dates of service. In the unlikely event there are more than four codes all together, TherapyNotes™ will automatically choose what it feels are the most relevant four. It is up to the biller to review the modifier codes before submitting claims, which they can now easily do directly on the Submit EDI Claims page. Modifiers can still be set manually per date of service, overriding these settings. Please note that at this time this feature only applies to electronic claims. We will be adding this feature to CMS forms in a future update. For more information, read How To: Apply a Modifier on our help center. We've increased visibility of our two-factor authentication (2FA) feature. Now, you'll be encouraged to enable 2FA for your account through an alert on your To-Do list, and if you're a Practice Administrator, you can conveniently see which users in your practice have 2FA enabled on the Staff page. We've added additional search filters and sorting options to the Eligibility Verification History page to make it easier to find specific real time eligibility reports. When selecting items in the Revenue Report, there is a “Payments Leading to this Revenue” dialog. This dialog now offers the option to export the data to Excel, a feature that we have re-implemented from a previous release. We have added preview pages for Staff files so that you can view information about the document and view PDF files directly in TherapyNotes™, similar to how you preview documents in a patient's chart or your practice's Library. Passwords can now support Unicode characters, allowing you to create stronger, more complex passwords to secure your TherapyNotes™ account. Ready for a better practice management system? 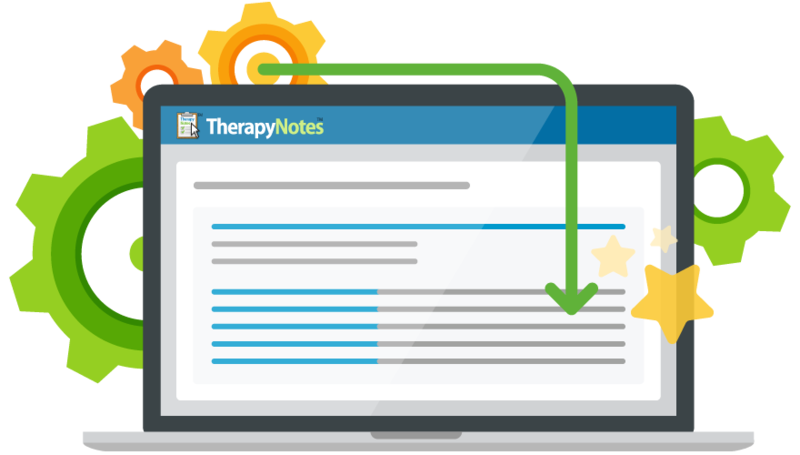 Get started with TherapyNotes™ completely free for 30 days. No credit card required. No obligation.